After reading Karen's post about feedback from her students at the end of a project, this encouraged me to reflect on my planning process and share how I too, am trying to include student voice in my planning. Over the holidays I developed a brief unit outline for a Year 10 Exploring Substances unit, brainstorming the major topics I would like to teach . I teach six Year 10 Health classes, which are somewhat streamed, but I don't have time to develop six different units. I decided I would need to differentiate along the way with specific learning activities instead (such as adding in extension questions for the higher level learners, or changing word for the lower literacy learners). I also had designed the outline on my own, and really wanted the students current knowledge and interests to be included in the unit outline too. Because I have around 140 students to cater for, I decided the easiest way to formatively assess students knowledge was through the use of a Google Form. As below, the Form asked a series of questions related to the topics I was interested to teach the students. From the students answers, collated into a Google Sheet, I could quickly see where the students had gaps in their knowledge (e.g. classes of drugs) and where students had greater knowledge (e.g. 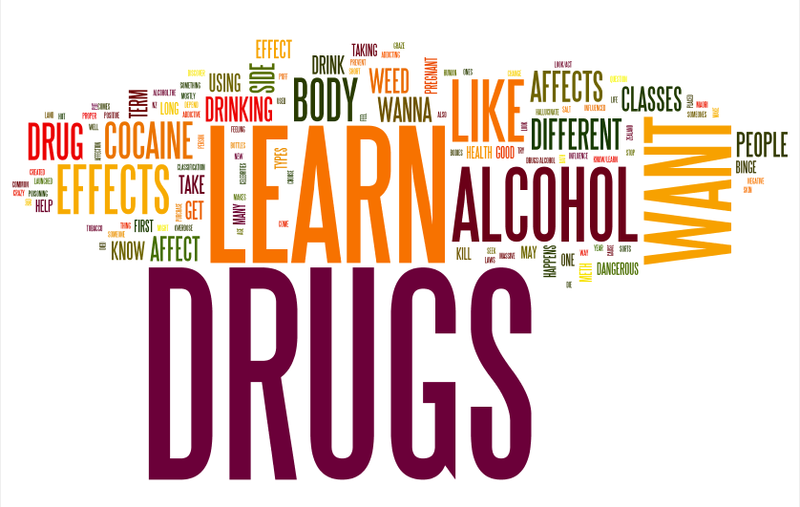 basic understanding of addiction). I then asked students to send me a personal email explaining what they would like to learn about during the exploring substances unit. I, like Karen, find it difficult to motivate students to share their thoughts honestly. Many of the students said 'anything' or 'whatever you want to teach', rather than taking this an an opportunity to have their say in their learning. This is something I am trying to change slowly. I made the below Wordle to illustrate the most common words students used in their email requests, as majority of the students did flick me an email. After reading through student responses on the Google Sheet and reading each email, I used these to reshape my unit plan to suite my 140 learners in Year 10 currently. Although the unit is not individualised for every class, and definitely not for every student, the unit provides me with a skeleton to teach from, and is a great base for next year. Similar to Karen, I will be sending out the same Google Form at the end of the term as a summative assessment of learning, and will also send students another Form to provide feedback about the unit. I am hoping by the end of the term (5 more lessons of Health), students will feel more comfortable to express what they would have changed/liked more of. Their feedback will support the Exploring Substances unit for next year, as well as their unit next term. I feel it is super important for me to try and differentiate between classes and learners, but with so many classes this year my priority is trying to develop skeleton unit plans which can be built upon, with greater student voice in the future. As the unit plan is all over the place at the moment, I will share some of my skeleton units later in the term! I have been so pleased to see the way you are taking the learning from one of colleagues and repurposing it to fit your specific context. Today your school leaders joined my for a PLG and heard from Dr Graeme Aitken about collaborative inquiry ands much of what you are writing about here fits with his presentation to us. So well done you! He spoke very passionately about how few teachers Scan (gather student voice) so I was delighted to read here about this in your practice.